At a time when our collective notion of success has shrunk to the point of being unrecognizable, Angela Duckworth arrives to restore it. With a mix of masterful storytelling and the latest science, she shows that perseverance and passion matter at least as much as talent and intelligence. 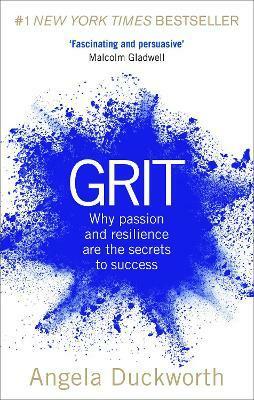 And far from simply urging us to work harder for the sake of working harder, Grit offers a truly sane perspective: that true success comes when we devote ourselves to endeavors that give us joy and purpose.